If you're looking for a cleaning service that will be able to rid your household rugs of all dirt, grime and stains - while maintaining the integrity of the weave - then talk to us now. We offer professional rug cleaning in Yarraville 3013, a service that is both tough on dirt, and gentle on delicate fabrics! Our staff are some of the most experienced rug cleaners in Yarraville - and every single member of our team has undergone an extensive training with the latest state-of-the-art cleaning tools and apparatus. When you take advantage of our range of industry-leading services, you'll be able to see the difference for yourself! 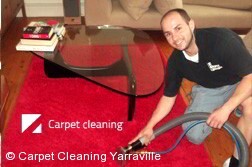 Book Yarraville Rug Cleaners Now! Call us now - on 03 8672 2795. Our lines are up and running 24/7, and you'll be able to able to speak to one of our helpful team of experienced staff. Book a service over the phone, or get a free, no-obligation quote on our rug cleaning in Yarraville! If you prefer, you can even request a quote online - all you need to do is fill out the form on this site, to get an immediate estimate for cleaning rugs in Yarraville 3013.